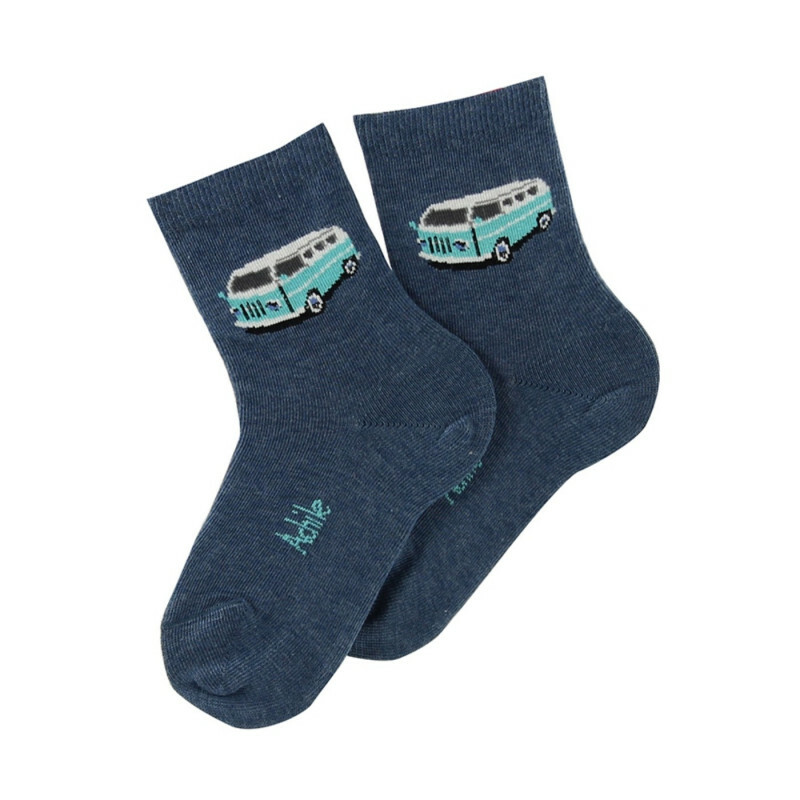 Van, a fun design of novelty socks for children. Your little boy will love wearing these mid-calf length socks and showing them off to all of his friends. They are cotton and made in France in blue and beige.